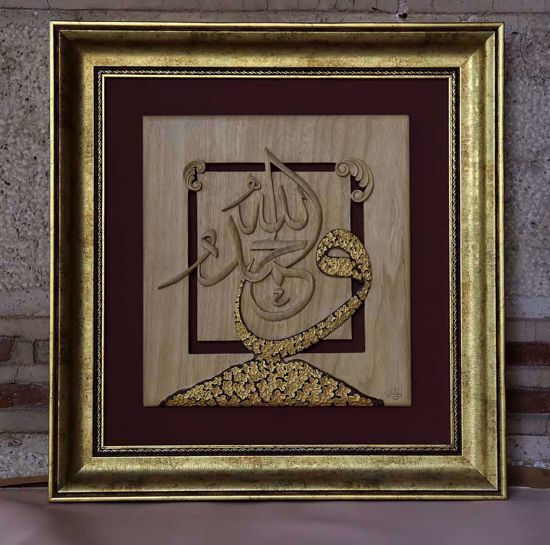 Wood Carving Art - "Hamd". 3D Wall Art for your Living Room as a Rustic Home Decor. An Original Artwork for You. The artist carved the Arabic phrase "Alhamdulillah" which means "All the praises and thanks be to Allah". Alhamdulillah is the Arabic phrase used by Muslims and Arabic speaking people, similar to Hallelujah used by Christians. The Hamd is carved from Limba. Wood has been finished with natural wax.